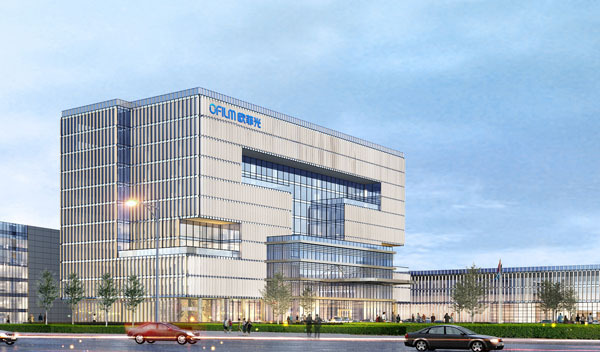 The business entity of FPM BU, OFILM Biometric Identification Technology Co., Ltd, was founded in March 2014 , located in the High-Tech Development Zone in Nanchang, next to the scenic Yao Lake. It is a worldwide well-known provider of fingerprint identification modules and focuses on the unified solution for fingerprint identification. The product includes fingerprint recognition module and 3D Sensing module, which covers product design and packaging, module design and manufacturing, algorithm and test software development. Since its establishment, the FPM BU has been consistently taking the road of scientific and technological innovation as the developing philosophy of our enterprise. With our constant exploration, integration of resources and importation of high technology and team from various channels, our R&D capabilities for fingerprint recognizer became one of the best in the domestic fingerprint reader industry. The FPM BU will strive to build a perfect scientific research system, and to establish a sound scientific research and development investment mechanism and project management mechanism. The main solutions of the BU includes capacitive type, ultrasonic type, optical type, etc. The module surface treatment process of capacitive type covers all existing processes includes coating process, technic, IFS process, etc. The ultrasonic type covers sensor production, FOG process, module screen fiting, etc. The ptical type covers COB packaging,COG and FOG process, and module screen fiting. The 3D Sensing scheme covers coded structured light, speckle structured light ,ToF, etc. Our company attaches great importance to research and innovation, and we have applied for a total of 940 patents since its establishment. The FPM BU focuses on the research, development and industrialization of fingerprint identification devices, and stresses on the development of fingerprint identification devices and 3D sensing plan. Dozens of production lines, so far, have been established. Through the sound sales network, we increased investment in scientific research, ensured the capability to industrialize the result of our scientific research, and achieved a virtuous circle of scientific research investment and the transformation of achievements. As our capabilities of research, production, sales and services are growing synchronously, we embark on a sustained and rapid developing road. There are optical type and ultrasonic type in Under Display Fingerprint Solution. The company has invested a lot of resources in the development of optical and ultrasonic fingerprints, which can solve the comprehensive screen era and realize positive fingerprint application without cutting holes. Under Display Fingerprint Solution of Optical type have coms solution and TFT solution. At present, all mainstream customers have realized the mass production of coms optical solution. Among them, coms collimation mode is prior to the mass production of lens mode. Considering that the collimation mode needs to fit the screen technology, lens mode has more advantages in cost and performance, thus becoming the mainstream trend. Under Display Fingerprint Solution of ultrasonic type is Qualcomm program has been mass produced, it has better penetration and stability than optical fingerprint, and can achieve real living recognition. At present, the project has been mass produced and will be developed with the popularization of POLED in the future. With the continuous development of fingerprint technology, the market demand for large-area fingerprint is getting stronger and stronger. Large-area fingerprints can be realized through optical TFT solutions and ultrasonic solutions. Among them, the optical TFT method can be customized to a size of almost 10*25-50*100, and the ultrasonic type is mainly 20*20 or 20*30. Large-area fingerprints can realize the recognition function of multiple areas under the screen on the hardware, providing unlimited imagination for future software development. A one-dimensional or two-dimensional image is projected onto the object to be measured, and the surface shape of it can be judged according to the distortion of its image size. That is the depth information. Time of Flight is an active depth sensing technique that records the light intensity and the time from the light source to the pixel (Time of Flight) at each pixel. Firstly, the device emits pulsed light, meanwhile, it receives the reflected light of the target, and its distance is calculated by measuring the time difference. By obtaining deep information through 3D sensing, we can restore a series of shapes we need, such as faces and object shapes. Accurate face recognition can be used for unlocking and paying; precise gestures and motion recognition can be used for home game entertainment; accurate humanoid object modeling can make online shopping more efficient and mobile social more realistic, and it can be used for AR/VR. In addition to providing mobile phone fingerprint modules and 3D Sensing module hardware solutions, OFILM is focusing on integrating software encryption to improve security performance to develop biometric applications in financial payment, security, automotive, AR/VR, and FPM. In March 2014, Nanchang OFILM Biometric Technology Co., Ltd. was established, located in Nanchang High-tech Development Area. In March 2016, the first company in the world started to mass-produce glass and ceramic cover. In December 2017, the shipment of fingerprint identification modules reached 200 million, and the IOT market shipped 1kk. In January 2018, the first company in the world started to mass-produce optical and ultrasonic Under Display module. In May 2018, the 3D Sensing program was the first one in mass production in China. In December 2018, the annual module shipments reach 210 million. Investing in new technology research and development, leading the layout of glass and LCM fingerprints and other technical solutions. Integrating and developing the 3D Sensing system solution, providing customers with one-off solutions. Integrating the entire industry chain, including algorithms, encryption, packaging, materials, module design and production, and system solutions. Developing software encryption based on hardware development, and improving multiple solutions of security performance. Based on the mobile phone fingerprint module, OFILM will develop FPM in the fields of financial payment, security, automotive, AR/VR. In addition to providing mobile phone fingerprint module solutions, OFILM is focusing on integrating software encryption to improve security performance to develop biometric applications in financial payment, security, automotive, AR/VR, and FPM.